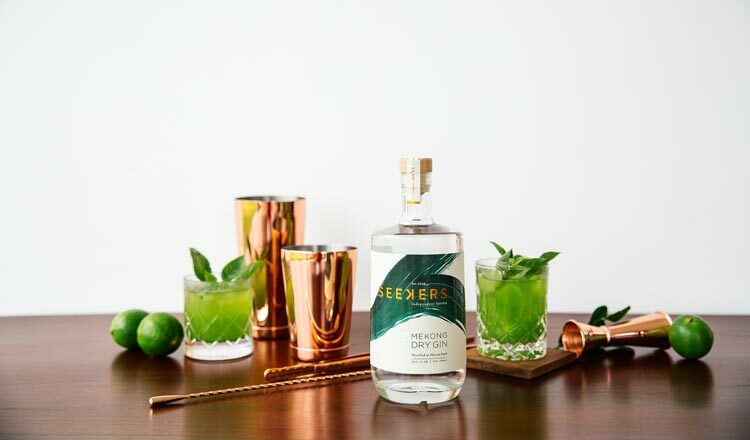 Seekers Spirits, with their signature Seekers Mekong Dry Gin, represents that aspect of discovery and living a life less ordinary and maybe taking that leap of faith. Everyone has a need to seek out new things and experiences. For Tania Unsworth and Marco Julia the Mekong region has really been the inspiration from a flavor perspective. And they wanted to tie that together to make their artisan award-winning gin. Eileen McCormick has a chat with Tania and Marco while sipping a Basil Gin Smash. GT2: Can you guys tell me a little about yourselves? Tania: I’m British. My husband Marco is from Barcelona, Spain. 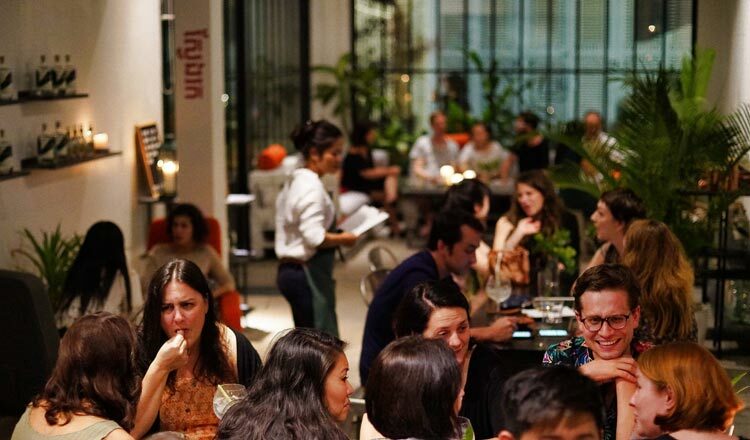 We’ve been in Cambodia six years or so and we come from hospitality backgrounds. Before arriving in Cambodia, we were in Europe operating hotels and restaurants. Actually, we came over to Cambodia because Marco was offered a position to run the FCC group out here. So that was six years ago and we came out to the region then. And, you know, at the time, we had no expectation of what life would be like out here. Tania: I was born in the UK, but my family moved to Hong Kong when I was 16. So I actually did my last couple of years of schooling in Hong Kong, before going back to the UK for studies and then work. But my parents lived in Hong Kong and then in Bangkok for 15 years. So Asia, in particular Southeast Asia, has been quite a big part of my life over the last 20 years. I spent a fair amount of time out here, but I hadn’t actually been to Cambodia before we moved here. And I was quite excited about coming back over to this part of the world, having a bit of a change from Europe. Privately, I opened a couple of restaurants here. One of those restaurants was a Spanish Tapas Bar. GT2: Was making gin something you had a background in? Tania: In Madrid and Barcelona, there’s a big craze there for gin and tonic in tapas places. There is a saying in Spain, gin was created in the UK but Spain perfected it. In Spain they serve it in a big bowl glass like the burgundy wine glasses, over ice and usually with a really inventive garnish. So we copied that in our Spanish Tapas Bar here. And at that time, we probably had the biggest gin collection. Now Raffles has probably taken over. We had 60 types of gin from all over the world. Coming from London and Barcelona where the craft brewing industry has been booming, and which we have followed very closely, we realised that there were not many types of gin coming from this part of the world. GT2: Is gin similar to rice wine? Marco: Well yeah, because the base of gin can be anything. Included are those incredible ingredients found here and also the flavours that exist. We were doing a lot of infusions at the restaurant and the bar to create more of a local cool flavor on the gin. And that’s what really triggered the decision to make our own gin. GT2: How big of a space do you need for a gin distillery? Marco: We went on a trip to Western Australia and visited Margaret River which is an amazing area for food and wine. There’s also some interesting gin there and we visited a distillery called West Winds. We met the guys there and realised the space that they had was quite small – and they were producing this incredible gin. We then realised we didn’t need a huge factory and maybe our little space in the Russian market area would be manageable. That was when the serious planning started. GT2: What sort of research did you do before starting a gin distillery? Tania: When Marco and I went back to London, we visited many distilleries to learn a lot more about the actual process of making gin. We were also looking for the right partner to help us on the production side because we had quite clear vision of the standard gin we wanted to make the flavor profile of the gin. GT2: How can a layman taste the flavors of gin? Marco: Seekers Spirits profiles different flavors. A lot of the classic gin that are in markets, for instance the traditional classic London dry style, is much different. We fall under the ‘New World’ teams where we do a strong gin and have some other flavors coming out of it. Our inspiration to this comes from places in Madrid, Spain, and Italy. In these places the gin represents the region they come from – the smell and the flavor is linked to that region. 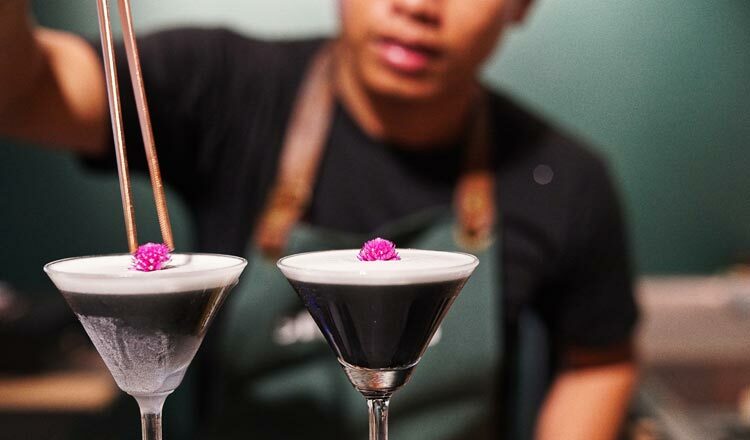 GT2: How many ingredients are there or what went into your crafted Seekers Mekong Dry Gin? Marco: We started with 55 different possibilities. But we knew we wanted between 10 and 15. So from them, our gin expert (Alfie Amayo) helped us to get down to that number. To backtrack, Alfie was working for one of the best distilleries in London and he was on route to Australia. We convinced him to come to Cambodia to help us first and he liked the project, so much he stayed on – which is great for us. GT2: What went into developing the Seekers’ flavor? Marco: It took nine months to develop the recipe of Seekers Mekong Dry Gin. All gins have to have juniper berry in them. Yeah, so that’s the one thing that doesn’t grow regionally. So we have to bring that over from Macedonia. 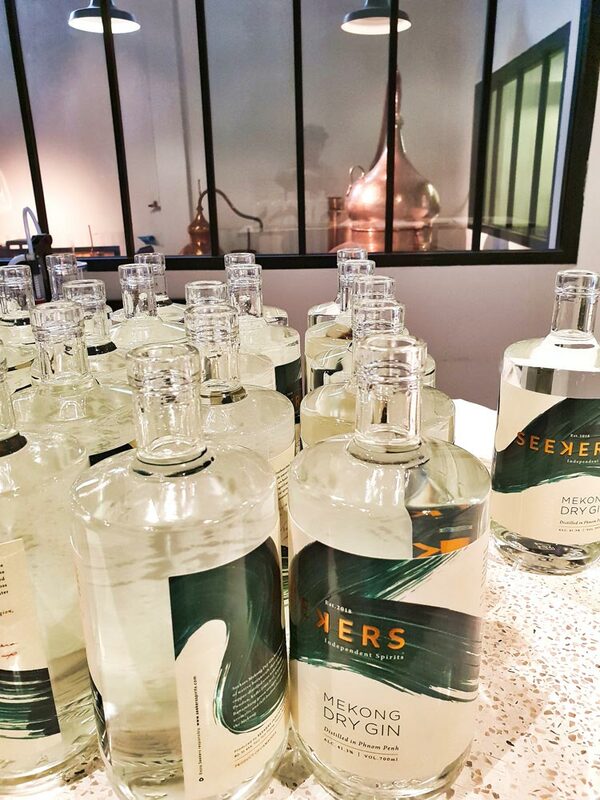 But everything else that gives Seekers Mekong Dry Gin its personality are the ingredients used in Southeast Asian cuisine. We had about 50 different ingredients that we wanted to experiment with. But then it was about finding the right blend. In order to get this overall, we wanted a very fragrant, bold and aromatic gin because to us, that’s also what flavor is in Southeast Asia. It’s bold and dramatic, and fragrant. GT2: What about the gin making process? 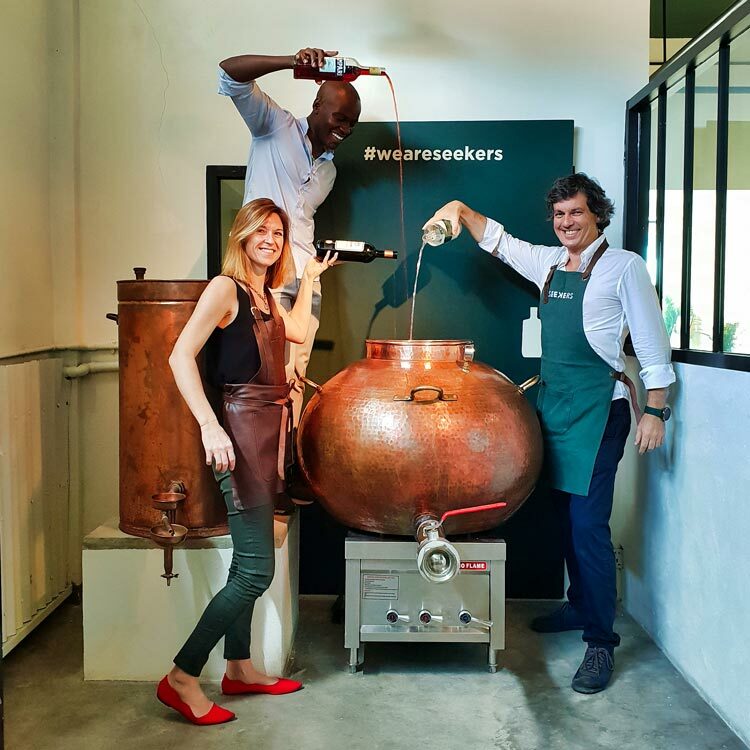 Tania: Our distills are from Portugal – they are handmade copper pots. These are very traditional. And we use a naked flame actually, with our distillation rather than an electric one. This is good at the moment due to the power cuts – thank goodness! Yeah, we don’t need to rely on the power to keep up with our production. The naked flame also adds a slightly caramelized flavor to the gin. GT2: How has the local market taken your gin? Tania: We have been at some quite interesting events where we’re able to introduce Seekers to a local audience. They enjoyed not just the gin tonic but the cocktails that we developed with a focus on local palettes and local flavor. I think it’s been more accessible than maybe the more classic London dry styles of gin. GT2: What are your upcoming events? Tania: Once a month on a Friday night we host a late night event that can be seen on our Facebook page and website. We also offer tasting and tours throughout the week. You can pick up our product at a number of places aside from our shop at Wine Warehouse in St. 240, Phnom Penh.